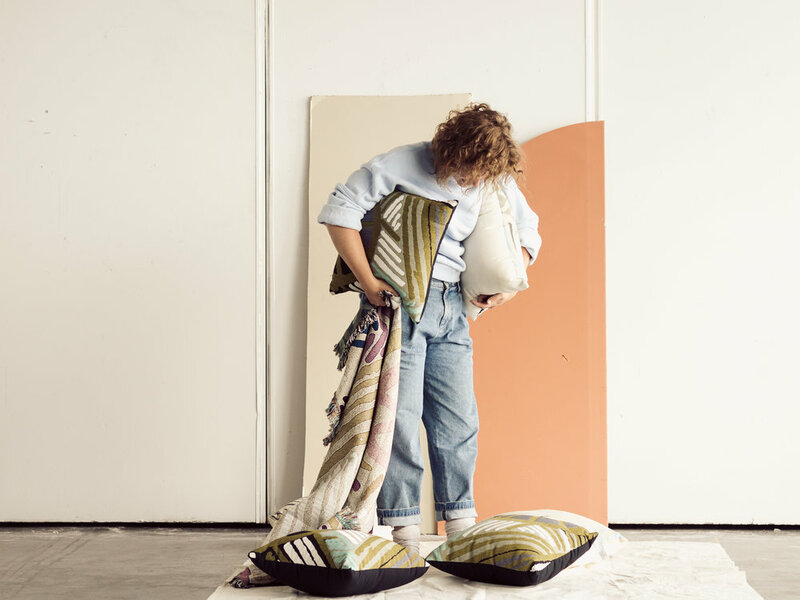 The design for these throw cushions began as pastel drawings inspired by vintage car wrecks. They are made of tightly woven cotton from a jacquard loom facility in North Carolina. These zippered pillows come with a removable poly-fill insert and duck cloth backing.